East-Asian inspired motifs and styles were considered to be especially appropriate decoration for teawares on account of tea’s Chinese origins. 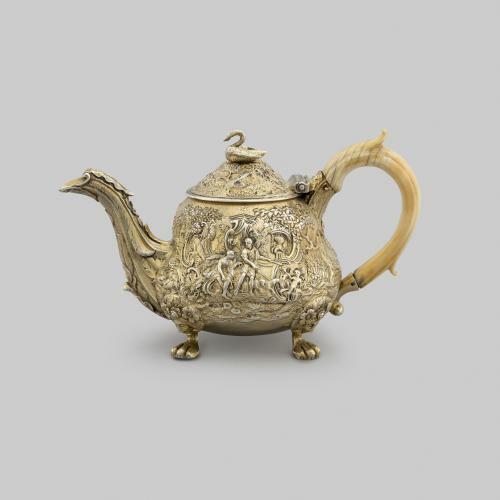 The design of this teapot is based on the shape of Chinese porcelain vases from the 14th century and features panels intricately decorated in high relief. These Chinese vessels were a source of inspiration for British-made teawares as early as the 17th century. 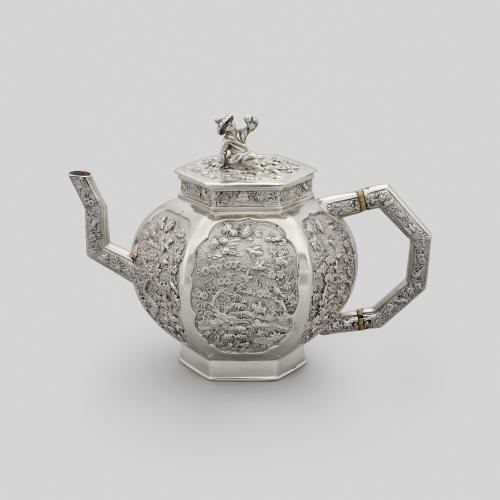 One of the first teapots made to this design is hallmarked for London, 1682. 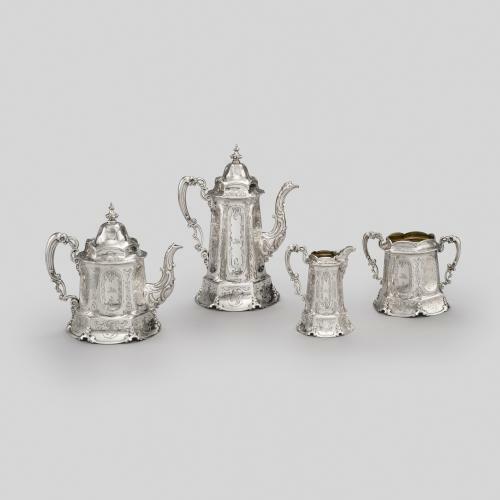 This example is similar to two other existing teapots, one bearing the maker’s mark of John Page (1819) and one with the maker’s mark of Paul Storr for Storr & Mortimer (1825). The panels of this teapot have a fine matted background, created by tiny punches made by using an engraver’s tool called a mattoir.